Sometimes a random day could turn out to be the wonderful start of a life shared with someone. This is what happened to Sean and Jessica. Theirs is an amazing story that although simple is so heart warming. On an ordinary day they met by chance. Sean who was instantly attracted to Jessica struck up the courage to talk to her and succeeded in catching her attention and interest. This unexpected meeting led to more than six years of being together, with the couple becoming best friends and bringing out the best in each other. 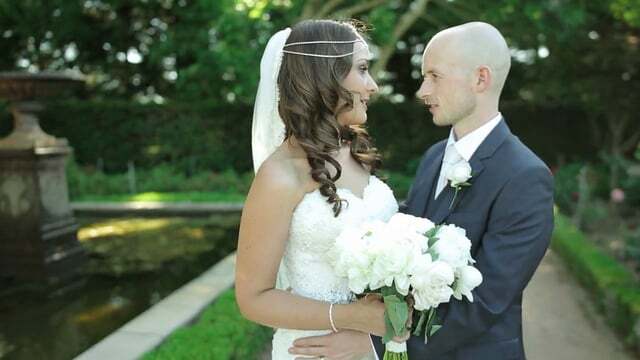 Sharing their story with us, their Sydney wedding videographer, we could feel the special bond they had for each other and this easily radiated through the lens and unto film. The lovely couple exchanged vows at the St Francis Xavier Catholic Church and all the right elements were in place to make it the perfect wedding. The beautiful weather, the gorgeous stone church, the charming violin serenade, and the smile, tears and laughter of the family and friends who shared the special moment with the couple – Onsight Films was able to capture all these. We then did a same day edit so everybody could see how everything during the special day unfolded as we had seen it through our eyes and lens. We feel very fortunate to have been part of this special day of two people and two families becoming one. Sean and Jessica, we hope this video becomes a great special addition to the photo booth strips of ‘The Proposal’ you keep at your bedside table. We wish you all the best!